Why should I use fuel additives? Today you can find a certain proportion of biofuel in almost all fuels of all manufacturers. This percentage will increase further. The problem is that the engine becomes soiled in the combustion process. The injectors, injection nozzles as well as the combustion chamber get coked-up. The consequence is higher fuel consumption, loss of power, and fuel entry into the engine oil. Fuel additives remove these residues and return the fuel system to its original condition. Why do car manufacturers not recommend the use of fuel additives? Car manufacturers draw attention to sensitive technology that might be damaged by fuel additives. However, most leading car manufacturers offer their own additives nowadays, since they are aware of the above mentioned problems caused by biofuels. This problem has been known to us for a longer period. We have subsequently developed our products based on our more than 70 years of experience in lubrication technology. The efficiency of our products has continuously been verified by TÜV since 1994. Is it possible to use too much MATHY Fuel Additive? As long as the amount of fuel in the tank is not less than the reserve volume the fuel additive cannot be overused. Basically, the content of one can (250 ml) should be added to the specified amount of fuel. Ideally, the fuel additives should be filled into the tank before refueling since this guarantees an optimal blending with the fuel. Does using too little MATHY Fuel Additives have any impact? Not using enough fuel additives reduces their performance. The full efficiency cannot be guaranteed. 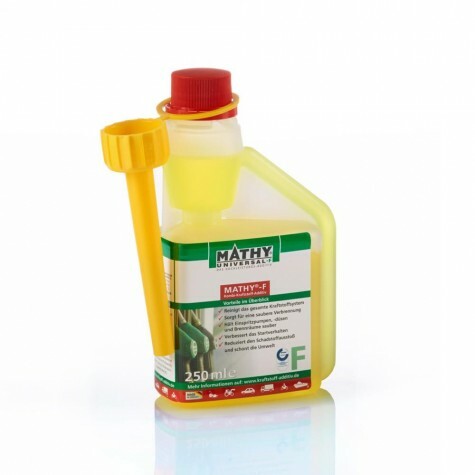 Which components are protected by MATHY Fuel Additives? Fuel additives protect the fuel leading components, like the tank, fuel lines, fuel pump, and injection nozzles. Even the inlet and outlet valves are protected from impurities and deposits due to a better fuel combustion. Will engine performance be enhanced by MATHY Fuel Additives? The engine performance is not directly enhanced but the maximum efficiency of the fuel system and the related engine performance is ensured. 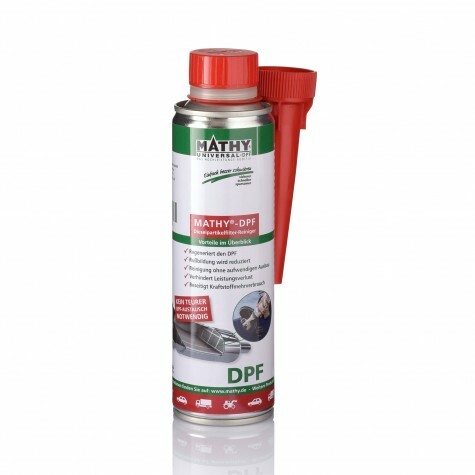 The removal of deposits and impurities from the fuel system restore full engine power. Can the use of MATHY Fuel Additives reduce fuel consumption? Fuel Additives provide maximum efficiency of the fuel system in the engine and thus ensure the best possible utilization of the fuel. Unnecessary fuel consumption caused by deposits and impurities in the fuel system is significantly reduced. 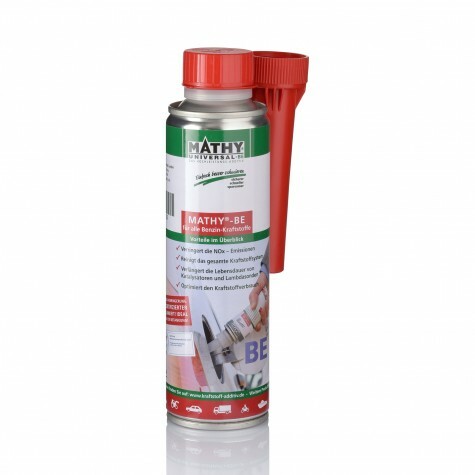 Which problems can be solved by adding MATHY Fuel Additives? Do MATHY Fuel Additives expire? MATHY Fuel Additives keep their full efficiency for a period of two years provided that the can is properly closed. MATHY-F and MATHY-Plus-DA should be used up within 1 year. 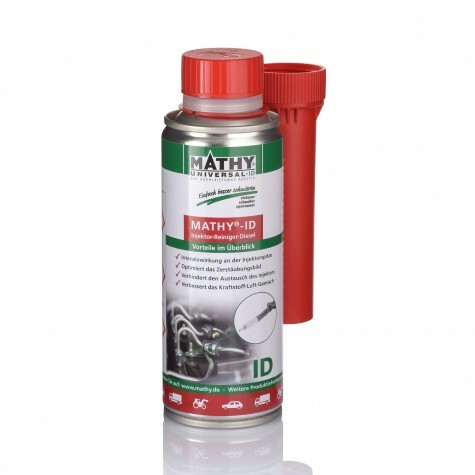 What does it mean when the engine oil turns black when using MATHY? When the oil gets dark quickly it just means MATHY is working because impurities are dissolved. Can MATHY additives also be used in new cars? the prevention of deposits of all kinds. An early use prevents the formation of deposits and smudges. Nowadays, almost every renowned automobile manufacturer offers fuel additives since unclean combustion due to bioethanol in all fuels has increased significantly. 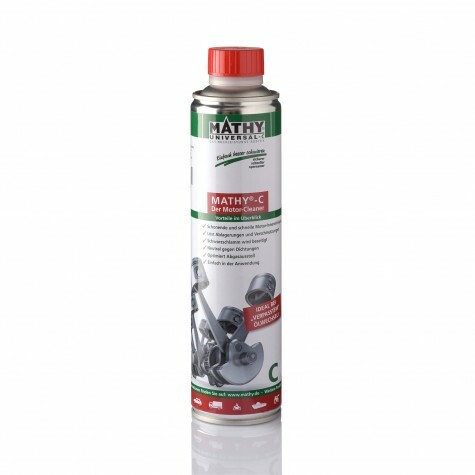 In order to remove the resulting residues and to maintain the proper performance of the engine car manufacturers actively offer these products.